Education Law, Section 803 and 3204 and Regulations of the Commissioner of Education, Section 135.4 mandate physical education for all pupils in the schools of New York State. A pupil is required to have a cumulative passing average in physical education each year he/she is in school prior to graduation. All students in Kindergarten through grade 5 attend physical education classes taught by a certified physical education teacher, two times a week. Students in grades 6 through 12 attend physical education class 2.5 times per week, utilizing an A-B scheduling system. Adaptive physical education is a service provided for a student with a disability, determined through an assessment and an eligibility criteria through the District's Committee on Special Education. Services, IEP goals and objectives for qualifying students are written as a result of this assessment. Approximately 90 percent of eligible students receive services in the general physical education setting by an adaptive physical education teacher. After school programs for students with disabilities in the District include Clinical Sports, Recreational Sports, and Adaptive Aquatics. Students eligible may also participate in the District sponsored Special Olympic Track and Field and Aquatics competitions as well as the Empire State Games For the Physically Challenged. One of the major goals of physical education is to prepare students to be “Active and Healthy for a Lifetime”. Young people need to acquire the skills and self-confidence to participate in a wide variety of physical activities while in school and throughout the rest of their lives. Students must make a lifelong commitment to engage in some form of regular exercise. In order to instill within students a desire to be active and healthy, activities must be designed to focus on fitness and healthy lifestyles. At all levels, the program emphasis will include increased competency in a variety of physical activities, the development of personal and social behaviors, developing a comprehensive knowledge base of fitness concepts, designing fitness programs, and setting personal goals. In order to help students make the commitment to lifelong regular exercise, instruction will be aligned with the New York State and National Learning Standards for Physical Education. The health-related fitness program, Physical Best, will address the standards from a curriculum, instruction, assessment perspective. Physical Best (philosophy) moves beyond traditional programs by raising children’s awareness of physical fitness, the connection between physical activity and health-related fitness, and by making physical activity health related and noncompetitive. All students in grades 3-12 will are involved in the Fitnessgram testing program. This assessment will help students focus on their own health related fitness and enable them to set short and long term goals. Fitnessgram will also enable students to record their own fitness scores on a computer and generate personal programs for improvement. At the elementary schools, all students in grades 3-5 wear step counters (pedometers) to measure the amount of physical activity during physical education classes. Step counters help students understand the relationship between activity and how technology can be a motivation in helping them learn. But even more important, students understand the link between movement and fitness and that it can be fun and part of their lives. The elementary curriculum consists of three areas of instruction: Skill Themes, Physical Best (Fitness Education), and Adventure Education. Through the teaching of skill themes, students will demonstrate an acquisition of fundamental motor and manipulative skills, sport skills and skill combinations. Students will demonstrate an awareness and understanding of health-enhancing activities and fitness vocabulary through the teaching of Physical Best activities. Cooperation, Respect, Trust and Team Building activities will be taught through activities in Adventure Education. The physical education experience is designed to facilitate and include a wide variety of sport and physical activities for all Half Hollow Hills Middle School students. The developmentally diverse middle school student will experience shorter units of instruction with an emphasis on proper skill technique and through practice, begin using these skills in a variety of lead up games that ensure success. Students will also begin to use tactical strategies in game play. To accomplish this objective, the benefits of sport and physical activity are taught throughout 8 different categories on the Sport and Physical Activity Menu below. At the middle school, students are introduced to technology through the use of heart rate monitors. A major goal of physical education is to teach students the importance of aerobic fitness so that they understand how to reach their target heart rate. For teachers, the heart rate monitors provides an objective measure of student’s effort, regardless of skill or athletic ability. The addition of aerobic equipment at the middle schools increases the opportunity for students to be aerobically involved in an active learning environment throughout the year. This equipment, linked to the heart rate monitors, will provide a controlled work area that is better known as a wellness center. Another area of exploration is Sports Education. Students are prepared for active roles as coaches, officials and players outside of school. This opportunity will be available more specifically to students at the middle school level. 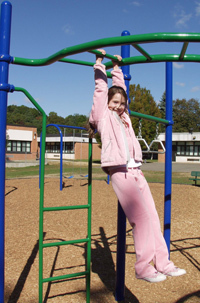 The physical education experience is designed to facilitate and include a variety of sport and physical activities for all Half Hollow Hills High School Students. To accomplish this objective, the benefits of activity are taught through 8 different categories of activities. These activities on the Sport and Physical Activity Menu have been designed to provide a maximum opportunity for all students. In 9th and 10th grade, students will choose one activity from each of the 8 categories during each quarter (2 years). In 11th and 12th grade, students will choose activities in which they will need to demonstrate competency in 6 activities from at least 3 different categories of physical activity. Students also need to be proficient in 3 activities from the 8 categories listed below. Competency -Students should be able to participate in an adult recreational level of the game, suitable for a health-enhancing level of play. Proficiency- Students should be able to participate in some activities beyond the level of competency. Proficiency assumes more advanced performance of skills and strategy and the ability to demonstrate the leadership in the game or activity through helping other players. A wide variety of activities are offered to students at all three levels (elementary, middle school, and high school). At the elementary schools, the emphasis is on cooperative games and having fun through physical activity. At the secondary levels, activities such as volleyball, softball, soccer, basketball, and touch football, include a competitive schedule of games. Students may choose from activities ranging from weight training and physical fitness to swimming and games like team handball and badminton. Additional lifetime activities will be offered to meet the needs of all students.